Biltmore At Bay Colony - Naples, Florida. 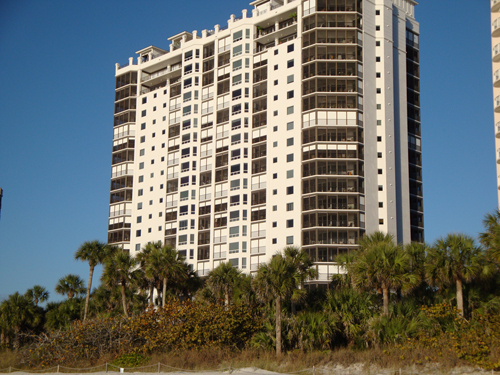 The Biltmore in Bay Colony is a beachfront luxury building in the exclusive enclave of Bay Colony in Pelican Bay Naples, Florida. The Biltmore offers only 75 residences on 22 floors. The sales have been steady in The Biltmore recently. Four condominiums have been sold since the beginning of 2011 with a sale price from $2,250,000 to $2,686,000. Another residence is under contract and only 4 units are for sale ranging from $2,450,000 to $6,850,000 for an exclusive penthouse unit. Rise and Fall of the property market is subject to forces of supply and demand, and these factors suggest a positive and stable growth in the real estate segment.